We have been busy in our classrooms, working on products for our new students and still settling in with our new classes. 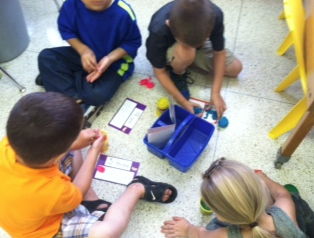 This week, we started small group math discovery stations. I have an incredible group of kinders, so I was ready to get started with stations. We have been working on stamina and following procedures. At this time, I am just rotating to each group making sure students are on task. 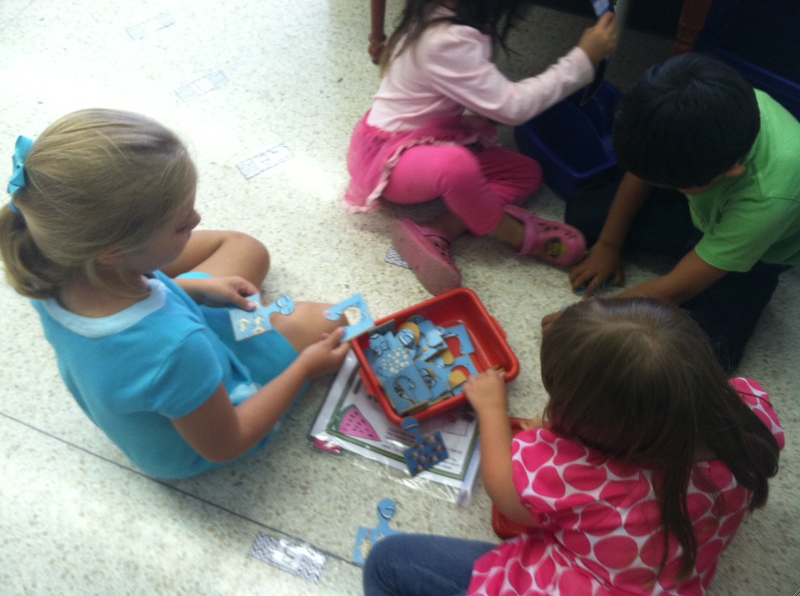 Here are a few pictures from math stations. As you can tell, each group has about 4 students. I just completed November Daily Math Journals for Kindergarten. It is aligned to the Common Core and includes 21 days of spiral review. 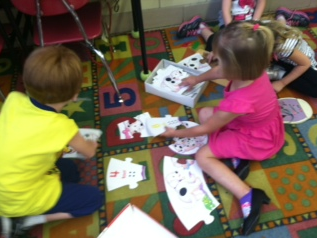 Number Sense is crucial in kindergarten. I really try to reinforce it as much as I can. Each sheet includes two on a page for easy copying and assembly. Pages are numbered with CCSS at the top right-hand corner. Fonts are kid-friendly and all pages include black and white images. 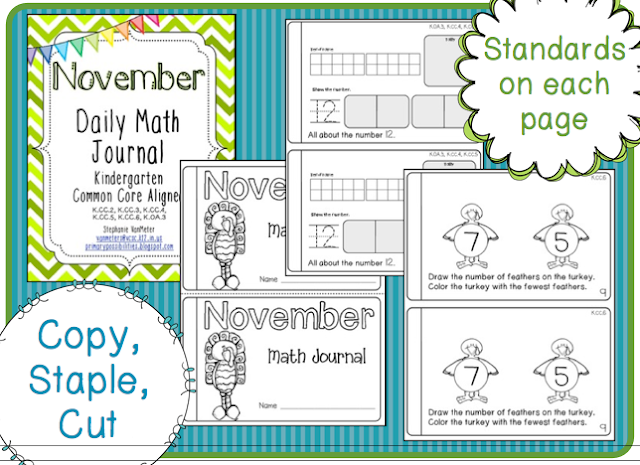 The November Daily Math Journal can be used in class or as daily homework for kindergarten students. Stephany just finished making a super cute Newspaper themed literacy station packet. 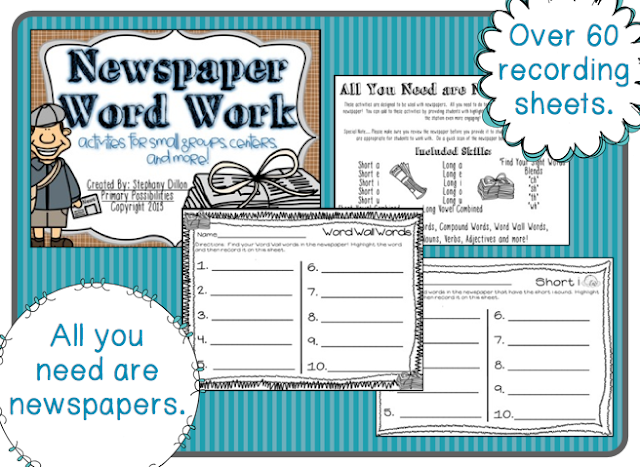 Included in this packet are over 60 newspaper word work recording sheets! These recording sheets are a fun way to bring newspapers into your primary classrooms. All you need are newspapers and the recording sheets to set up a word work center that is fun and engaging for your students! It is so nice to be back posting for all of you!! Sorry, we have not posted in a while. The beginning of the school year has begun and we have been in our classrooms daily. 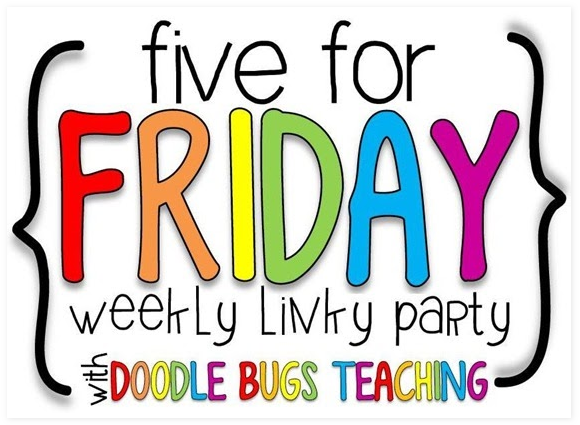 We are now back and excited to be linking up with Doodle Bugs Teaching. 1. 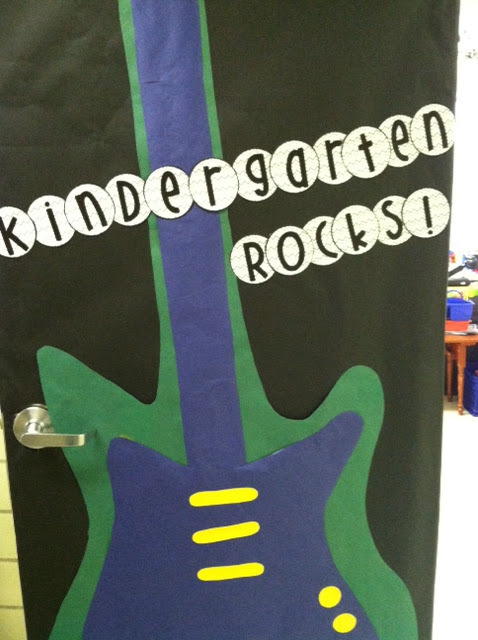 This is Stephany's classroom door. This is my favorite door ever!! She used many characters that her first graders would immediately recognize. She can keep this door up for a long time. 2. This is a picture of my door. I am sorry it is cut off, but I think you can see most of it. I took Stephany's idea and created letters with a chevron background. I am pleased with how it turned out. 3. My son had his 5th birthday this past week. It is so funny that my oldest was born on the first day of school (August 11) and my youngest on the last day of school (May 28). It is nice in a way, but I also have to juggle the school and birthdays. We celebrated Coy's birthday in a Batman theme. 4. You may have already seen this posted on our Facebook page, but click the link below to register. Elf on a Shelf is giving away 5,000 elves to teachers with lesson plans and letters from Santa. 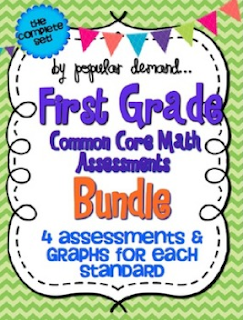 This is a great deal for teachers! 5. Finally, we want to remind everyone about the BIG TpT Back to School Sale this weekend. 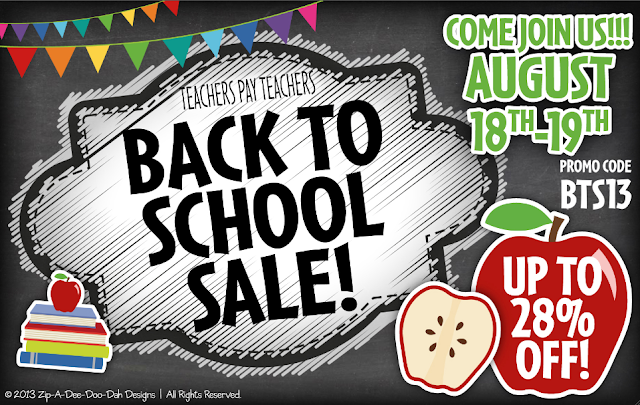 You will receive a discount by using the promo code B2S13 and an additional discount in our stores August 18th and 19th. The following banner was designed by Zip-a-Dee-Doo-Dah Designs. 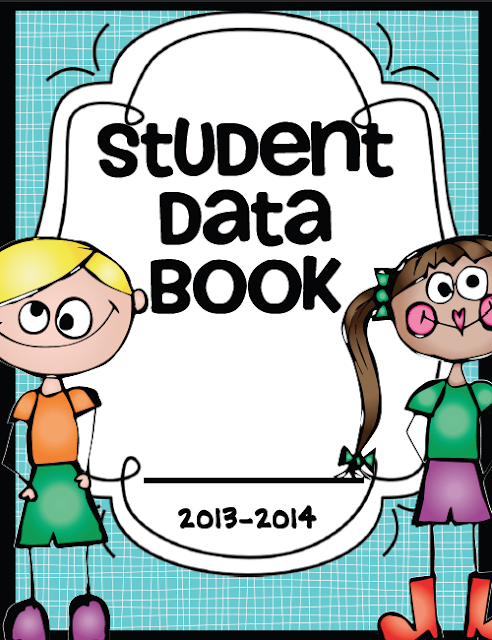 We started using Student Data Books a couple of years ago in our school. I have to admit that at first I was apprehensive about how well hey would work... Would first graders understand? Would they have an impact on learning? Would they take time away from teaching?